4 wheel dollies make it easy to transport heavy items, such as pianos, appliances, boxes and more. MovingBlanketsUSA’s 4-wheel piano rubber capped dollies have a strong, sturdy construction with rubber capped end rails. 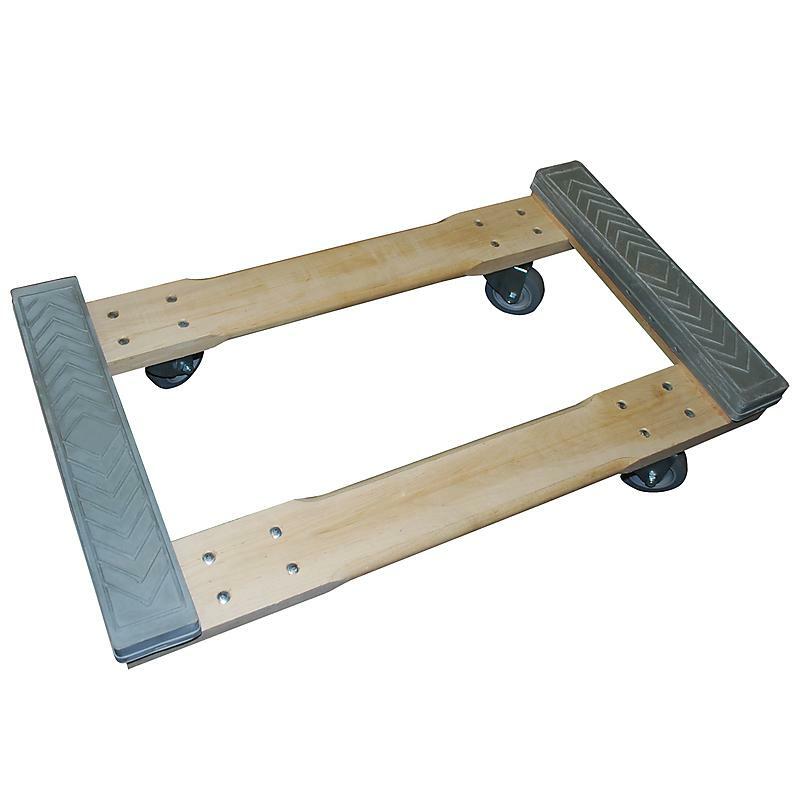 The hardwood rails and headers prevent splinters and the 3.5” non-marking rubber casters provide smooth transport. Many casters have a plastic bearing which makes them break down quickly and leaves you with casters that do not roll smoothly. Our casters are heavy duty and have a steel bearing to make them much smoother and longer lasting.